Mother's Day, original present: offer a horse ride! Mother’s Day, original present: offer a horse ride! Mother's Day gift: offer a horse! Looking good ... your mom never told you she loves horses? 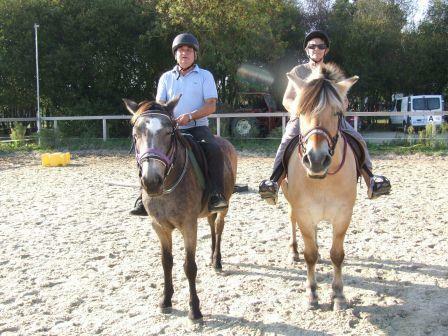 Treat your mother, a horseback ride in Nantes with perfectly educated horses, calm and docile, that will give your mom a wonderful time in harmony with nature, in the heart of the beautiful marshes of Goulaine. Why not accompany your parents at the same time? Contact us to purchase a good day gift mothers valid 1 year, priced at € 24 for a ride of 1 hour.